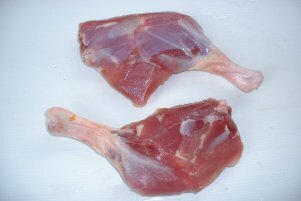 raw meaty bone or meaty bone - the body part of an animal comprised of bone with meat attached. 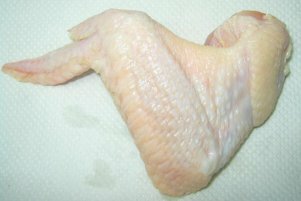 Examples could be neck, wing, leg, ribs, breast with bone in, tail. 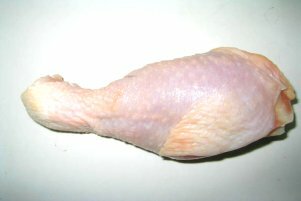 dressed or dressed carcass - a completely whole animal which has had the head, feet, skin and guts removed. The bones and meat remain untouched, and the heart, liver and kidneys are usually left. 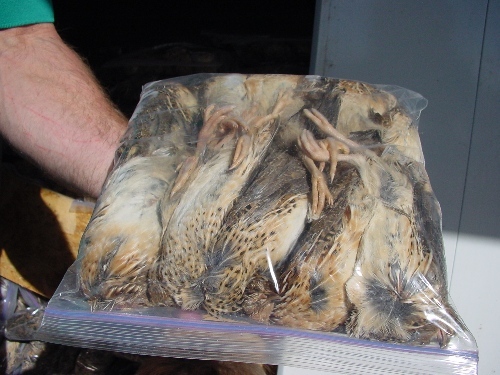 whole carcass, carcass or whole prey - These terms generally refer to a completely whole animal (fur, feathers and all). 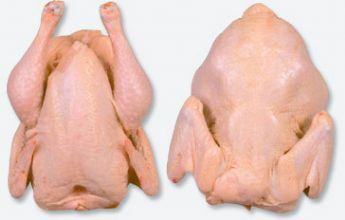 whole - many suppliers use the generic word "whole" (such as "whole chicken" or "whole rabbit"). This can mean either completely whole or dressed, so be sure to check. carcass = frame? 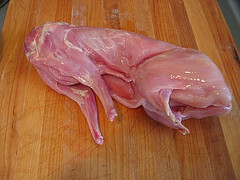 - carcass is sometimes used to refer to an animal which has been skinned, gutted and stripped of most of the meat & organs. Another word for this is "frame". Frames are a great menu item for carnivores, just as the other items on this page. carcass = dressed? - carcass is also sometimes used to refer to a dressed carcass!